Halloween is right around the corner, and what better excuse to play around with beauty trends than a night where costumes and painted faces are the norm? Whether you want to scare or seduce, be frightening or fashionable, or even just embrace a different side of your personal style, October is the month to do it. Ready for long luscious locks that will take you from Halloween night to date night? Now would be the perfect time to take the plunge and try out extensions. Pinup Salon offers long-lasting keratin bond extensions as well as tape-in extensions that will leave you feeling like the pop diva, mermaid, or Rapunzel that you are for October 31st and beyond! 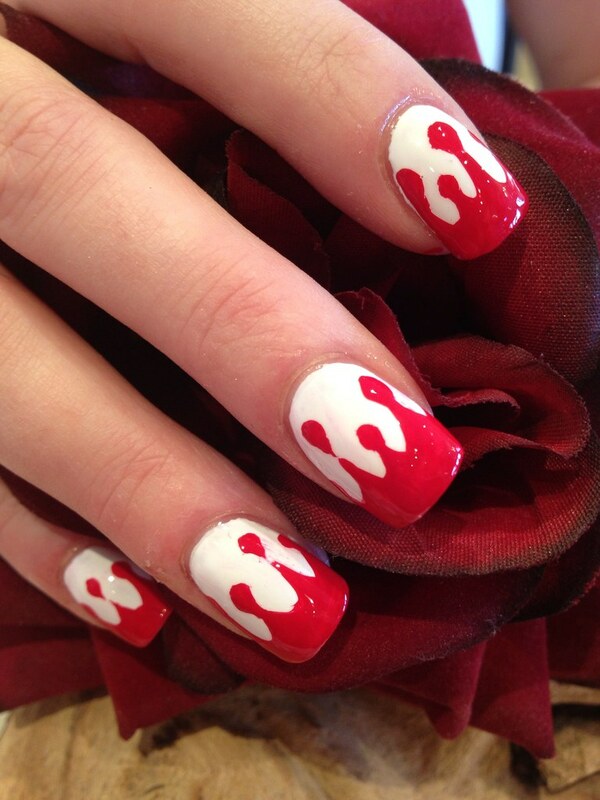 Even if flashy costumes aren’t your thing, you can still show off your Halloween spirit with a themed manicure. Use your imagination to come up with a simple or detailed design, or browse the endless photos on Pinterest and other beauty blogs for some scary inspiration. Whether you fashion yourself a DIY-manicure or come into the salon for a glossy shellac gel treatment, your themed nails will be the talk of every Halloween party. Throw your everyday makeup routine out the window and let this holiday give you an excuse to play with glitter, bold color, long lashes, and intense contour. For this spooky holiday, less isn’t necessarily more. Experiment with vivid pop art-inspired eyelids, cat eye eyeliner, or a dark lip for an Elvira-inspired “vamp” look. Bold hair colors have been on trend for several years now, so if you’ve been hesitant to take the plunge, Halloween is a great time to try out a new shade. Try a slime green or neon pink for a 1970s throwback punk look, or go for a more ethereal vibe with pretty pastels and sci-fi silvers. Remember, if your hair is dark, you’ll have to go through a bleach and tone session before your chosen color will show up vividly on your strands. Pinup Salon offers several different hair color services, as well as different treatments to keep your color-treated mane healthy and bright.